Former Prime Minister of Belize Rt. Hon Said Musa says that the death of Venezuelan President Hugo Chavez is a “loss to the region.” President Hugo Chavez, 58 years, lost a long battle to cancer on the afternoon of Tuesday March 5th. The Vice-President of Venezuela Nicolas Maduro made the announcement during a press conference; news that captured world-wide attention. 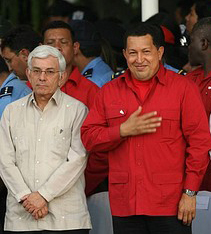 Even Former PM Musa, considered an ally of Chavez, lamented about the passing during an interview with The San Pedro Sun following news of Chavez’s death. The Government of Belize (GOB) has enjoyed a good relationship with Venezuela through generous financial policies initiated by the Chavez administration ever since his election to office in 1998. “I am grieving for the loss of Hugo Chavez. It’s a great loss for Venezuela and indeed for Latin America and the Caribbean. Hugo Chavez was undoubtedly a very controversial leader but there is no doubt in my mind that his heart was in the right place – he felt for people, especially the poor people of Latin America and the Caribbean. There is no doubt that he will go down in history as someone who transformed the lives of millions of people, particularly in his own country. I think it is a great loss not only for Venezuela but for the whole region. I have no doubt that in Latin America and in this region the Chavez legacy will live on because people will remember him for the good work he has done in his life time. He will be greatly missed," said a somber Musa. 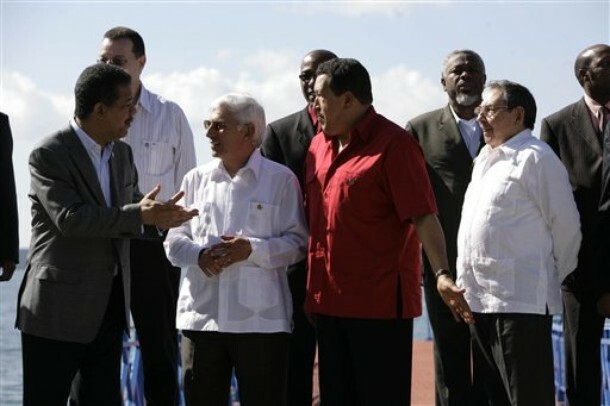 The personal assistance to Belize under the Chavez-led government was generous said Musa. “He was a great friend of Belize. I enjoyed a very warm, cordial and friendly relationship with him in particular. He was never too big to meet with me, coming from a very small country like Belize, and he was always kind and helpful to Belize whenever we needed assistance. Even today, a Belize under the present government is enjoying great assistance via the PetroCarib arrangement under the supply of fuel to Belize,” said the Belizean parliamentarian. Meanwhile, the Secretary General of the Organization of American States (OAS), José Miguel Insulza, expressed his condolences to the government and people of the Bolivarian Republic of Venezuela on the occasion of the sad passing of President Hugo Chávez Frías. "It is a time of great sorrow for Venezuelans and we stand with them, together with all the peoples of the region," said the OAS Secretary General. "We are certain that Venezuelans will now come together in difficult times like these and move in peace and democracy toward the future," said Insulza. The flags of the OAS have been placed at half mast and a special meeting of the OAS Permanent Council will be convened in memory of President Chávez. Chavez underwent a fourth surgery on December 11, 2012 in Cuba and had been out of the public domain since then, except when he was seen in a picture a few weeks ago with his two daughters inside a Cuban hospital. Just last week Chavez had returned to his country. Chavez was reelected to office in October of 2012 but was never sworn before the Supreme Court. Chavez was born in the southwest Barinas state of Venezuela, on July 28, 1954. He was the third of the seven children of two educators.